"Are you tired? Worn out? Burned out on religion? Come to Me. Get away with Me and you'll recover your life. I'll show you how to take a real rest. Walk (journey) with Me and work with Me—watch how I do it. Learn the unforced rhythms of grace. I won't lay anything heavy or ill-fitting on you. Keep company (personal fellowship) with Me and you'll learn to live freely and lightly. "(Matthew 11:28-30, The Message) Throughout history, many soldiers have experienced “battle fatigue” from the constant physical, emotional and psychological pressures of combat. In World War II, an estimated 10% of the men in combat developed “battle fatigue” which is clinically defined as a neuropsychiatric disorder which involves intense stress and physical-mental exhaustion that leaves a soldier unable to carry out his/her regular duties. Similarly, “battle fatigue” accounts for mounting losses in the membership ranks of the body of Christ (His Church) today unlike ever before. This “spiritual battle fatigue” is expressed in the physical, mental and spiritual weariness of one’s daily walk with Christ, a condition that yields a deep sense of loss in one’s commitment and loyalty to their church and ministry service as well as in their faith (trust) in the Lord. For various reasons, many Christians today have become fatigued, exhausted and even disillusioned to the point that many just want to be left alone – they are unable and incapable to effectively fight upon life’s many spiritual battlefields! Ephesians 6:10-18 explains that as Christians, we each are in a spiritual battle not just for our own eternal lives, but for the eternity of our family, friends, neighbors … for our fellow man. 1 Timothy 6:12 declares that every Christian is to "fight the good fight of faith." Satan wants nothing more than for you and I to quit this battle – to give up (stop fighting) and leave the war that is raging so intensely throughout today’s world. In 2 Timothy 2:3-4 we read the following: "You therefore must endure hardship as a good soldier of Jesus Christ. No one engaged in warfare entangles himself with the affairs of this life, that he may please Him who enlisted (spiritually recruited) him as a soldier." Being a soldier for Christ was NEVER promised to be an easy assignment. We see more and more soldiers in our generation choosing NOT to “endure / persevere” at their assigned spiritual posts. Romans 12:11 declares, “Don't quit in hard times; pray all the harder.” (The Message) Hebrews 12:1 declares to every soldier of God, “…Never quit!” (The Message) Tragically, over one-third of the membership of today’s church have left for various reasons (i.e. left their spiritual unit / places of service and walked off the battlefields). Many have become "weary in well doing" (2 Thessalonians 3:13). Speaking with a church friend just yesterday, his assessment for this trend was simple, yet profoundly confirming: “I think many people today are just giving up….” This intense warfare with the ‘demon of weariness’ (aka – ‘burnout beast’) is indeed inflicting mounting casualties today. Yet many of these battlefield conditions today – though challenging and costly as they are - are not unique to our generation. 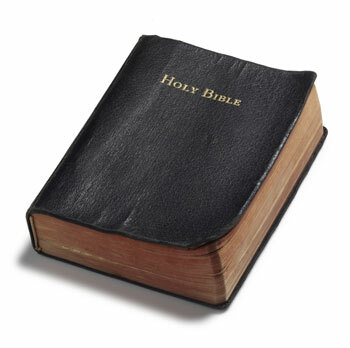 The holy scriptures record many men and women who shared in challenging battlefield conditions in their lives as well. The Old Testament prophet Jeremiah complained about the distress and persecution he faced because of his ‘obedience’ to proclaiming God's Word. The people of Judah did not want to hear God's truth / message where He pointed out their sin and His coming judgement (the consequences of their unrepentance). The people tormented Jeremiah because he faithfully shared a message from God that was both unpopular and unwanted by most. These conditions led Jeremiah to become disillusioned and discouraged in his ministry service for the Lord to the point that he cried out in deep frustration, "I will not make mention of Him, nor speak any more in His name." (Jeremiah 20:9a) Jeremiah was suffering from “spiritual battle fatigue” and wanted to simply give up / walk away from his spiritual orders / assignment. Thankfully with God’s help, Jeremiah overcame his battlefield fatigue by focusing on the divine call of the Lord that burned within his very soul, “…His Word burns in my heart like a fire. It’s like a fire in my bones! I am worn out trying to hold it in! I can’t do it!” (Jeremiah 20:9b, NLT) Sadly, as I shared in Pt 1 of this devotional series, many are choosing not to return to that ‘fire in the belly’ that once raged so brightly in their lives and instead they are opting to leave the battlefields to become a part of the growing trend of spiritual AWOLs (recall from pt 1 in this series - over 3,500 a day leave the church and 1,700 pastors leave each month). Are you a Spiritual AWOL? Are you contemplating going AWOL in the upcoming future? What we need is a lifering of HOPE that is found only in the eternal promises of God’s Word! Take a few moments to review Pts 1 & 2 of this devotional series. Ask the Lord to guide you in assessing where you stand … either tenaciously engaging the enemy upon the battlefields of life, or running away from the spiritual battles which we are called to enter? Tomorrow we will “dive deeper” in seeking how believers stricken by “battle fatigue” (aka – ‘burnout’) can recover so that we – you and me – do not become a part of those going AWOL on the Lord and on His spiritual army (His Church). The same instructions that the Lord will share with us will not only help us avoid going AWOL, but can also help those who may already be AWOL today return to their divine duty in serving the Lord and His people with kingdom passion, purpose and power! I invite you to again join alongside as we journey across this mountain together! …Selah! Today's Spirit-led video by CCM artists Phil Wickham/Bart Millard can be viewed by clicking on the on the song title, "Safe."